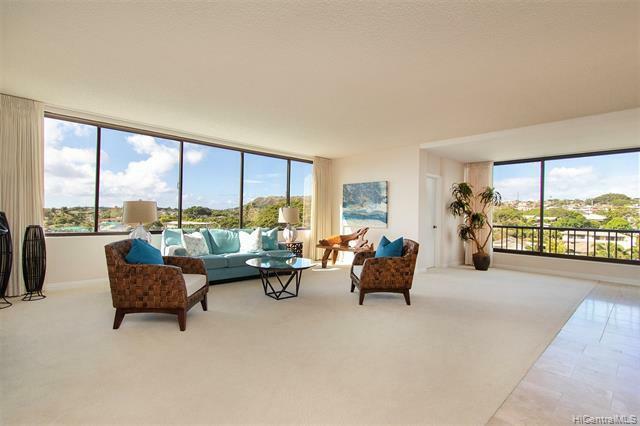 DONT MISS this beautifully maintained 2bdrm/2ba preferred corner unit in Kahalas premiere condo residence, the Regency at Kahala!!! Features include an upgraded kitchen, enclosed lanai, extra storage, central A/C, a spacious open floor plan w/over 1,600 sq ft of living space, and a 24 hr doorman/security guard. Perfect location within walking distance to Kahala Mall, restaurants, theaters, shopping, schools and the ocean/beach. Priced to SELL, this wont last! !